John Thain, age 53, served as CEO of Merrill Lynch since December 2007. On joining Merrill, Thain received a $15 million signing bonus – the kid was off to a good start. Unfortunately, the same was not true for Merrill – and certainly not true for the American taxpayer. Thain is now famous for the $1.2 million for decorating his office, which included $87,000 mink guest chairs. Mink guest chairs? This goes beyond extravagance, beyond the Roman emperor Nero, and into deep psychosis. With Merrill facing major 4th quarter 2008 losses of $15 billion, Thain managed to “sell” the company to the Bank of America. 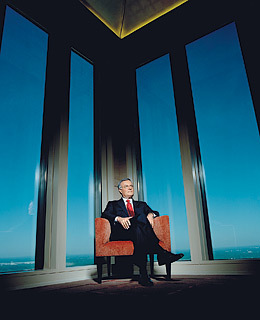 The deal was a swindle of the American taxpayers, and the BofA shareholders – by both Thain and Ken Lewis, CEO of BofA. After only two days of due diligence over the value of Merrill, which manufactured the excuse that he was not aware of Merrill’s coming massive 4th quarter loss, Lewis was ready to make his move. Withholding the information about the Merrill’s forthcoming loss, Lewis stampeded the BofA shareholders on December 5th 2008 to approve the purchase – which they did. As a result, the BofA stock collapsed from $17 dollars down to $6 a share, a loss of $60 billion for the BofA shareholders. For his part, Thain, well aware of the massive forth quarter loss, moved up Merrill’s bonuses which are normally paid in January to December, to beat the agreed upon merger with BofA. These bonuses amounted to $3 to $4 billion, with Merrill employees receiving from thousands to millions of dollars as they fled with their money like thieves in the night. Ken Lewis then used Merrill’s loss to scam an extra $20 billion from the federal government by threatening to pull out of the Merrill deal due to the “unknown” Merrill losses. This amount was in addition to the $138 billion BofA had already received from the federal government. That’s $158 billion of the American taxpayer’s money. Steal a television set, and you wind up in jail. Be a big time thief and you are not out on bail…but bailed out.